To accomplish this goal we are committed to using Certified Organic Growing Practices with every effort made to farm sustainably and responsibly as stewards of the earth. We follow the National Organic Production Standards and maintain our certification with NOFA-NY Certified Organic, LLC. In addition, we continually strive to improve all our growing practices with each season. 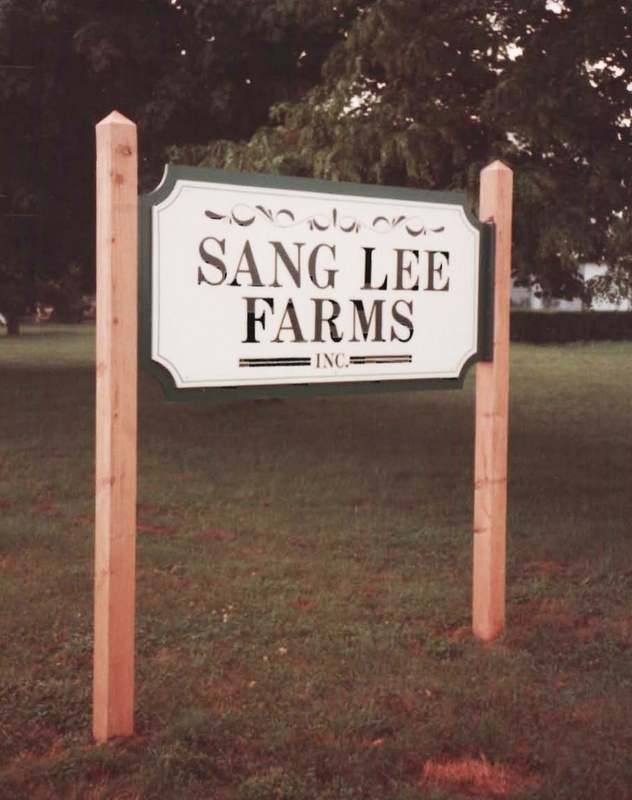 Sang Lee Farms, Inc. was established in the mid 1940's by Fred's Uncles, John (Kim Poy Lee), Hugh K. Lee and father, George Kim Lee. Following George's return from his Navy tour of duty during World War II, the farm began supplying New York's Chinatown with quality Asian produce grown in Melville, Long Island. The farm was expanded in the late 1950's to include year round production from Hobe Sound, Florida during the winter months. In 1964 the New York operation was moved to East Moriches, Long Island. Through the 1970's, '80's, and '90's, production and wholesale distribution expanded to Asian markets along the eastern coast from Montreal, Canada, to Miami, Florida, with many cities in between. As the markets changed and with the passing of some family members, Fred - along with his wife Karen and their three children - moved the farm operations in 1987 to Peconic - on the North Fork of Long Island. The moderate climate, offered by the location between The Long Island Sound and Peconic Bay, allowed an extended growing season that capitalizes on the fertile, well drained sandy loam soils of eastern Long Island. 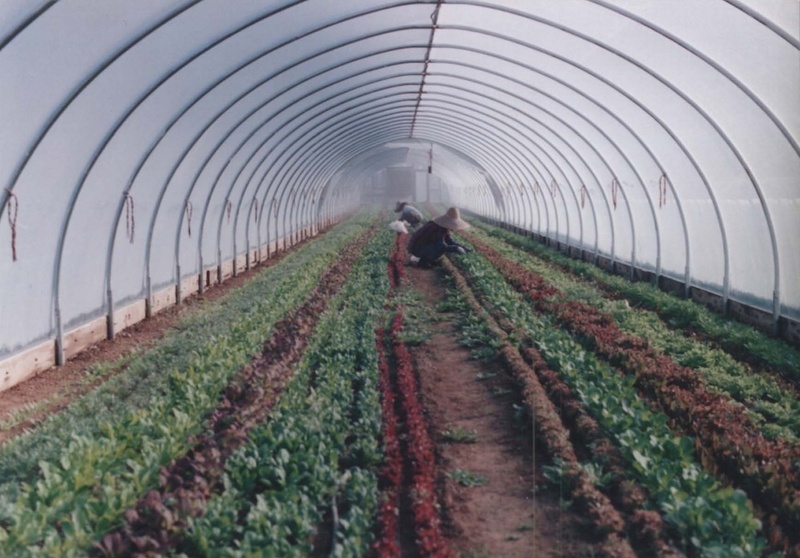 During the early 1990's, the product line was expanded greatly to include specialty baby greens, herbs, flowers and many seasonal vegetables. It all began with a self serve table on the road offering cut flowers that the three children were responsible for managing. 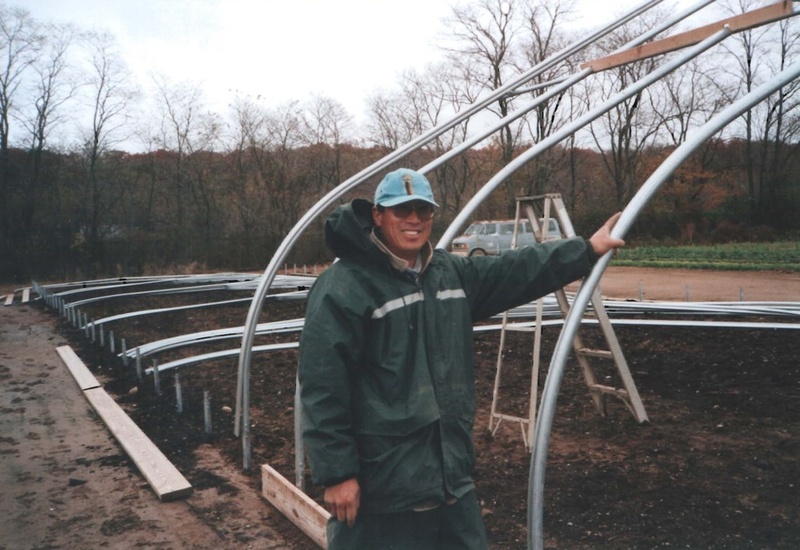 Within a few months, baby greens and Asian vegetables were added , and the humble beginnings of the farmstand began. As demand grew, new varieties of vegetables were added. Fred grew each new item 'Naturally' without chemical amendments. Eventually, he applied for Organic certification. The shift from wholesale farming to retail farm was gradual, but in 2002 we stopped wholesale completely. We added Farmers Markets--first one, then two, then three! In 2006, a CSA Program was launched. We now bring organic vegetables to other parts of Long Island and to Brooklyn where fresh organic produce is difficult to find. Today, Fred and his wife Karen operate the farm with their son William and staff, growing more than 100 varieties of specialty vegetables, heirloom tomatoes, baby greens, herbs. We continue to feature Asian produce, growing many varieties of Chinese cabbages, greens, and radishes. To compliment our wonderful produce that is Fresh-Lee-Cut ®, the farm has developed its own full line of Loca*Lee® prepared value-added products. What started with dressings and dips to complement the vegetables, evolved into an extensive line of prepared products that are made in our on-site Certified Organic Kitchen. Pestos, pickled products, jellies, fermented vegetables, vegan soups, cooking sauces, roasted veggies, vegetable packs, prepared salads are now available.